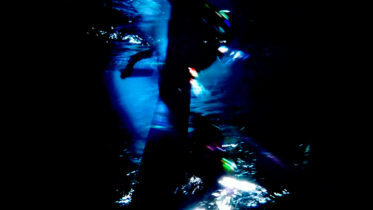 Tina Frank & Alexandra Murray-Leslie present an immersive audio-visual installation as part of Klanglichtfestival 2019 at Künstlerhaus – Halle für Kunst und Medien, Graz. Inspired by Donna J. Haraway’s theories on potential ways of living together, the two artists transform the Künstlerhaus into a glass habitat for speculative and political considerations. What does our environment look like if it were only inhabitated by mosses and ferns? How would our everyday life be if detached from partriarchal structures? What if feminists ruled the world? 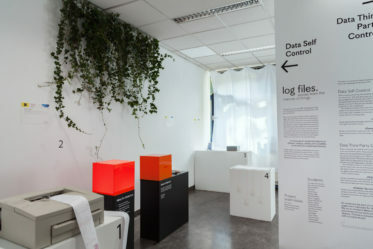 For the 25th anniversary of the IFK (International Research Center for Cultural Studies, University of Art and Design Linz) in Vienna, the master students of the Visual Communication Department at the University of Art and Design created visual artefacts in close exchange with the researchers at the IFK. 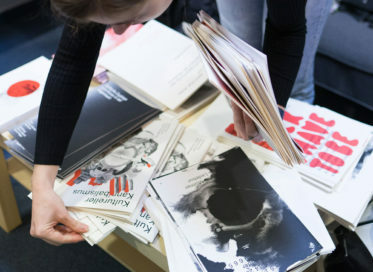 In small booklets – so-called Zines – they interpreted, mixed, showed or manipulated current research topics in various forms and formats. With kind support from Fedrigoni Austria and Salzer Papier. Students: Hana Oprešnik, Nina Mahringer, Daniela Poschauko , Bettina Mörz, Jung Ui Lee, YoonKyung Lee, Helena Kappelmüller, Valentina Recheis, Sophia Wäger, Barbara Oppelt, Anna Eickhoff, Eva-Maria Schitter, Eniko Gál, Vasilisa Aristarkhova, Alexandra Möllner , Kerstin Anna Meyer, Martina Jäger, Sara Patinho Rodrigues, Raul Izquierdo Aguilar, Piyanka Karel, Katrin Ganglberger, Marco Langguth, Verena Lepuschitz, Daniel Huber, Sophia Krayc, Stefan Hochhold, Marjan Moradhasel. 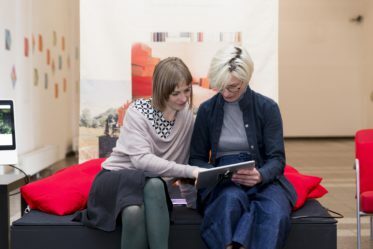 IFK-Fellows: Leila Alieva, Oksana Bulgakowa, Fabian Estermann, Fiona Fassler, Lisa Gottschall, Yunus Hentschel, Sybille Krämer, Elena Lydia Kreusch, Sophie Ledebur, Moritz Pisk, Nathan Stobaugh, Melanie P. Strasser, Lisa Stuckey, Hélène Thiérard, Tom Wappler, Christina Wessely. 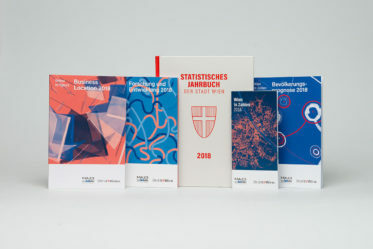 Since 2018, the Visual Communication Department of the University of Art and Design Linz is cooperating with Statistics Vienna (MA 23 – Economy, Labour and Statistics) to develop their visual language for all data visualisations and information graphics as well as a design concept for the brochures “Vienna in Figures”, in which statistical data of the City of Vienna are presented. 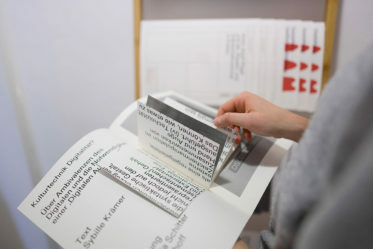 All visualisations and printed materials were developed and produced by the department's staff, alumni and students under the direction of Tina Frank. 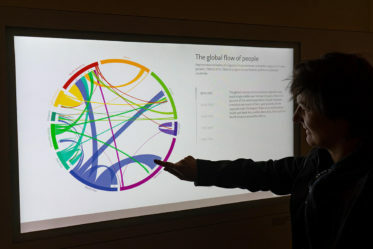 2017 in the World Museum Vienna permanently installed, the interactive data visualization "The global flow of people" shows global migration- and refugee movements. 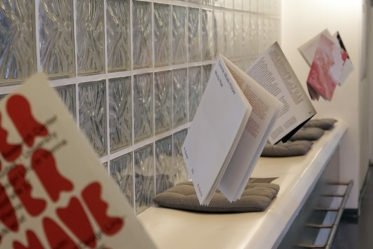 The design is based on the version developed at the Wittgenstein Centre for Demography and Global Human Capital by Nikola Sander, Guy J. Abel and Ramon Bauer. 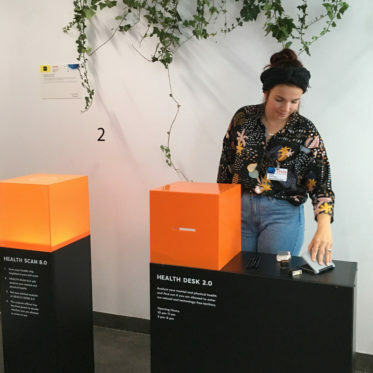 Students from the masters programme Visual Communication worked on future situations in which networked devices take action, depending on different scenarios about data control and ownership. Imagine you live in the year 2030. The Internet of Things is in full swing and our world has developed into divergent social groups. 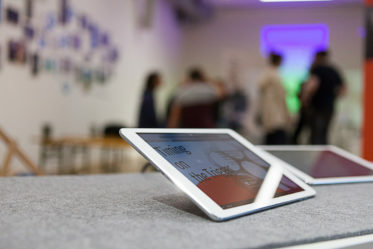 Students from the masters programme Visual Communication worked on future situations in which networked devices take action, depending on different scenarios about data control and ownership. We want to see how devices communicate with their users/owners in order to make decisions comprehensible and to reveal the hidden lives of such IoT black boxes. Log files deal with issues of privacy, transparency and participation. 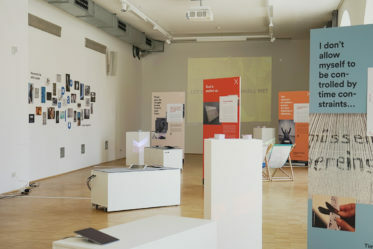 Each project provides a lens to examine the social, ethical, and aesthetic implications of the interdependence of society and technology in relation to a near-future era of connected things. A showcase of connected objects in different settings, dealing with possible, preferable, and undesirable futures. Design artefacts are always manifestations of inherent needs, wishes, anxieties, and values of their creators, developers and future users. These projects investigate the hidden values and needs of artefacts and propose an alternative visual narration. 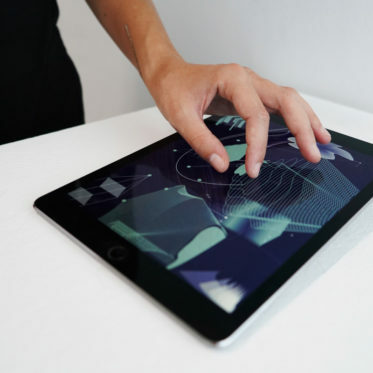 The series "Quantified in C-H-D" is an attempt to translate quantified musical data into a moving image and furthermore to create an overview representation in the form of a static image. 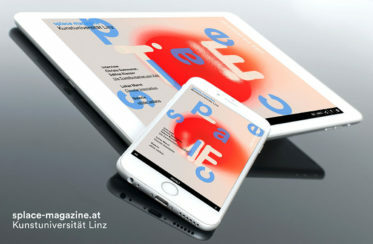 Presented in 2015 at Sigmund, a non-commercial off-space in Sigmundsgasse 15, Vienna, organized by Franz Gebetsberger, Norbert Pfaffenbichler, and Andrés Ramírez Gaviria. Permanent light installation in the multipurpose hall of the New Middle School Lunz am See. A cooperation of the wellenklaenge Music Festival, the town of Lunz am See and the Department of Lower Austrian Art and Culture/Art in Public Space. As part of this intervention, Tina Frank, together with General Magic (Ramon Bauer, Andreas Pieper), composed an audiovisual piece that will serve as a signet for the wellenklaenge Festival from now on. 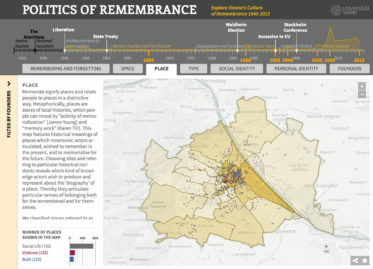 Das Forschungsprojekt Politics of Remembrance (POREM) untersucht die Politik der Erinnerung an die politische Gewalt von Austrofaschismus und Nationalsozialismus, wie sie in Wien zwischen 1995 und 2015 an öffentlichen Orten sichtbar geworden ist. Erinnerungspolitik bedeutet Auseinandersetzung um Deutungsmacht und die Nutzung und Aneignung öffentlicher Räume. Das Projekt wurde vom Wiener Wissenschafts- und Technologiefonds WWTF und dem Nationalfonds der Republik Österreich für Opfer des Nationalsozialismus (Nationalfonds) finanziert. splace magazine, a digital communication platform by students and lecturers, takes a critical stance on socio-political issues and informs about current positions of the art, culture and media landscape. Released annually with reference to a special thematic focus, the fourth issue is dedicated to the phenomenon of time. The articles’ horizontal versions were created in cooperation with Johannes Kepler University (JKU)/Department of Telecooperation. 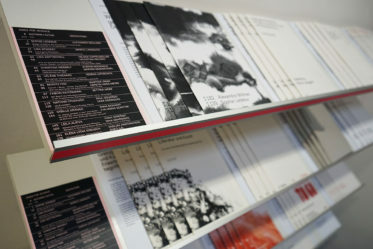 The magazine’s wide spectrum of contents is conceived by lecturers of the Kunstuniversität Linz – visual artists, (cultural) philosophers, media artists, designers, sociologists and cultural scientists. Students’ art projects complement this extraordinary interplay of words and images. The contributions come with additional information, notes, links and book recommendations. 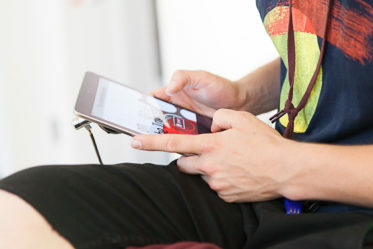 By tilting your mobile device, you explore the experimental realisation and continuation of the texts in di erent art and media formats. The students’ artistic positions show varied elds of action – interactive, playful projects allow for an active experience of art. The presentation platform gives young artists the chance to become visible across boundaries of time and space. All projects relate to the respective issue’s thematic focus and feature artists expressing an individual aspect of the phenomena in question. The timeless frame of white splace makes it a permanent exhibition, accessible anytime and anywhere and locating contemporation, accessible anytime and anywhere and locating contemporaneity at a multimedia level. Do androids see phosphenes? The video 20160815 depicts patterns that androids might interpret as raw liquid crystals. Tina Frank processes imaginations that already have been envisioned in the early years of digital video art – but were not yet realised. Todays world of images is superimposed by overbearing resolutions suggesting almost crystal clear and flawless images. The windows to the world of images are the glaring displays of our various devices and their LCDs – liquid crystal displays. Allowing the crystals to flow in conjunction with Peter Rehberg’s music, the video 20160815 sparkles like a charming roughness #againstallglossiness.